Size in inches: 5 3/8L x Boom 22"
The finished model is great,the assembly directions are poor, took 4 to 5 hrs. to assemble, very frustrating. For the price much more of the model should have been assembled. I have several other models made by NZG, never had problems like this befor. At first I was a bit skeptical of buying this model, however; once I got hands on I was blown away by the incredible detail! 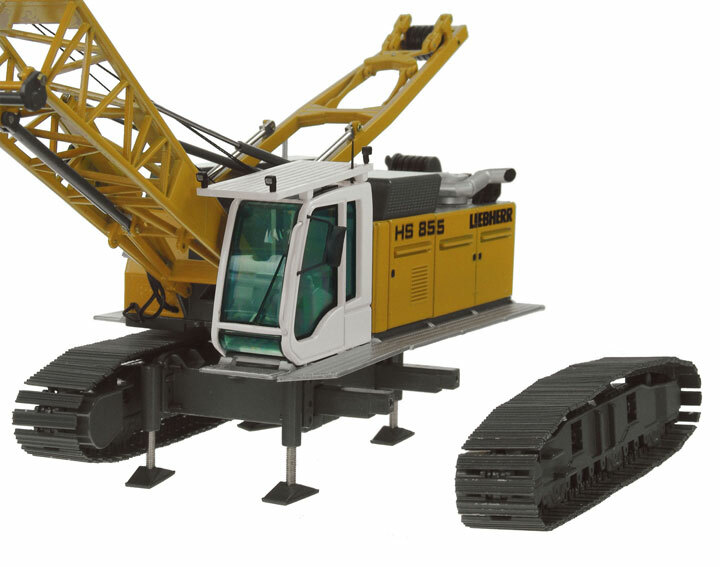 This is a perfect beginner crawler crane but it will make you feel like a pro after you put it together. 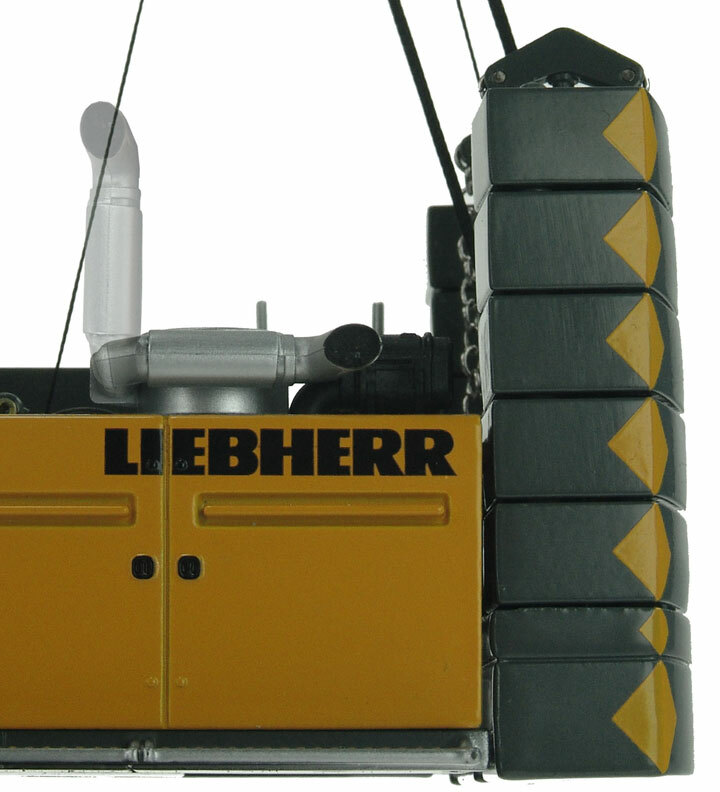 The assembly is fairly easy as well as the reaving. 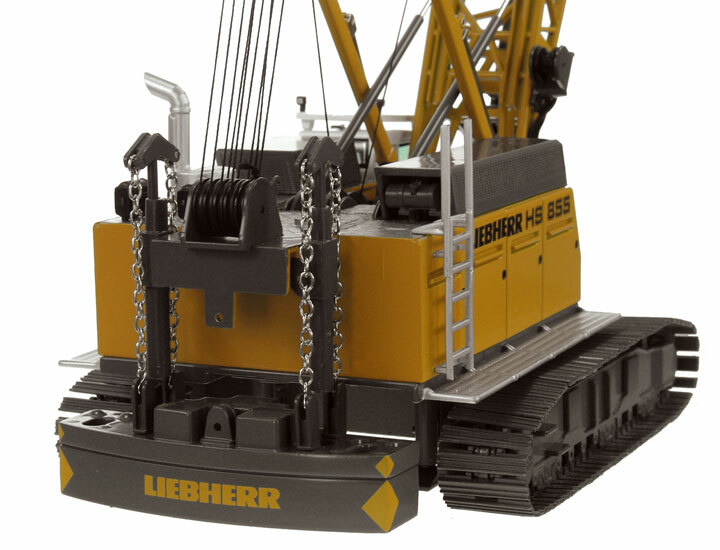 This is about the least expensive, Liebherr crawler crane model at the time and NZG did a great job with it! Awesome model, all parts worked well.Attention to detail is great. Great addition to my collection. 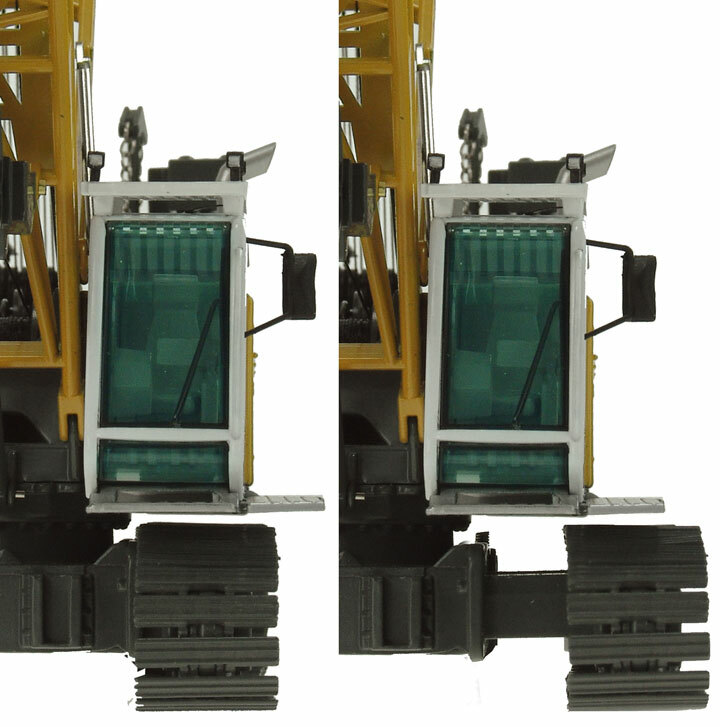 Very good, but the working parts are too hard to work meaning, they are too stiff to move and don't turn with ease. It's nice to look at, but hard to play with. Very well made; a must buy. 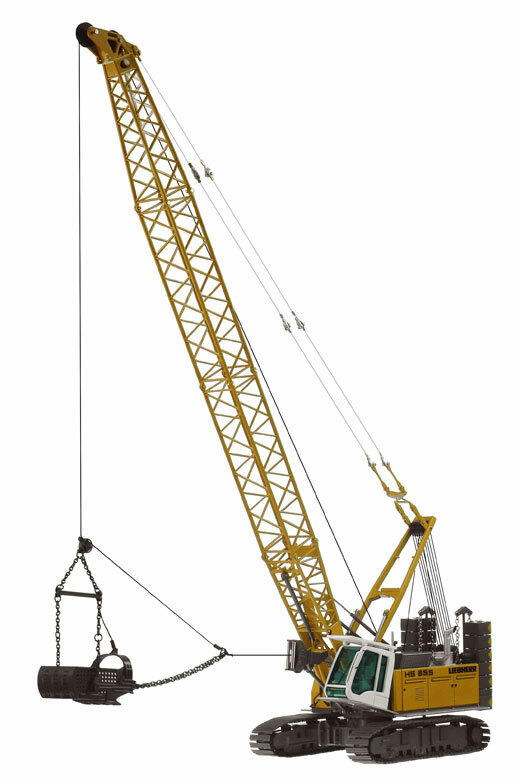 Top marks to NZG on this crane, very versatile as a dragline or crane. 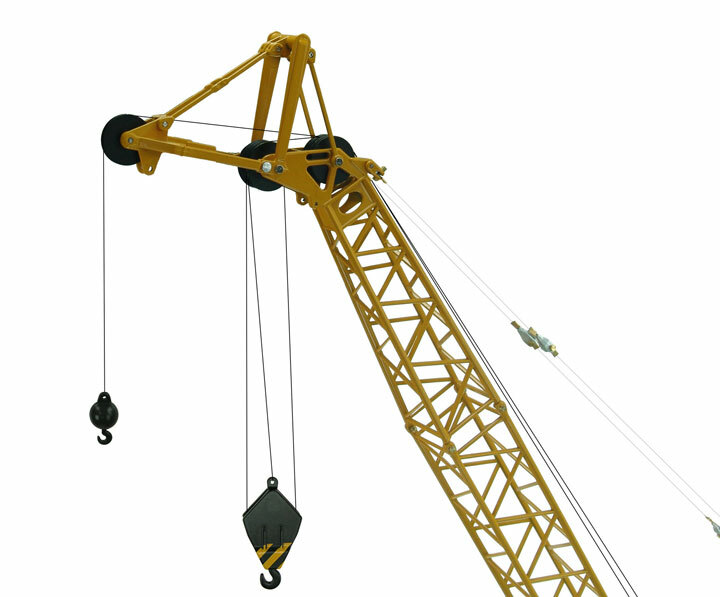 Very cool crane, it was worth the wait. Very easy to assemble too. 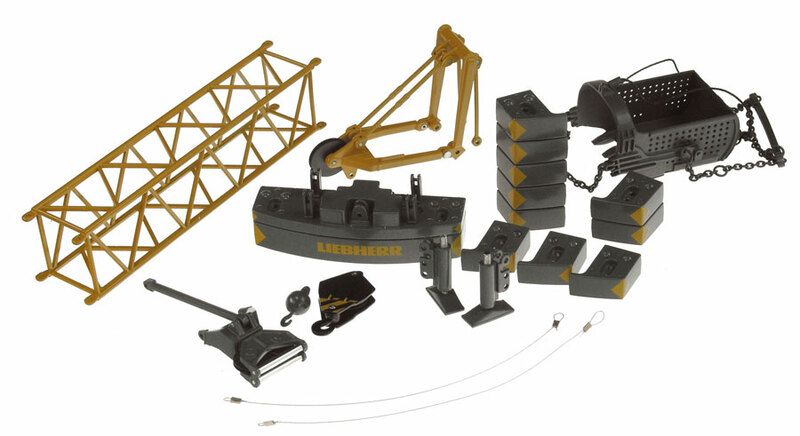 This is the first crane like this I have, may not be the last! !